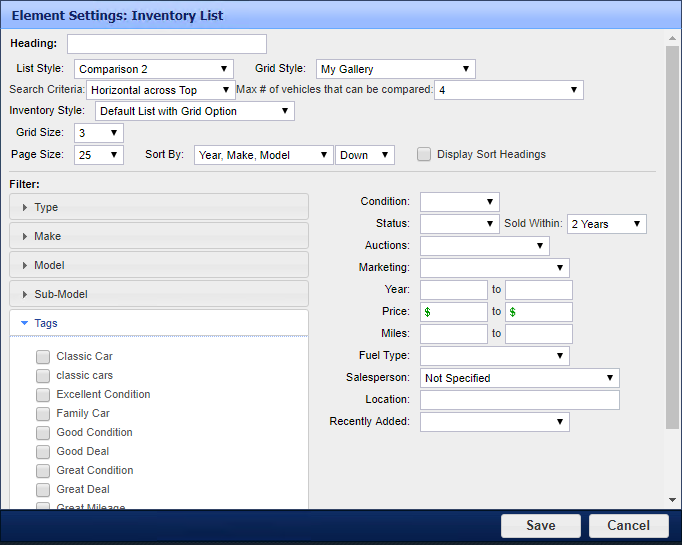 WebManager allows you to assign descriptive Tags to each vehicle in your inventory. Tags can be used to filter your inventory on your website, in addition to existing search criteria such as Year, Make, Model, etc. WebManager allows you to create multiple inventory pages. With the new Tag feature, visitors on your inventory pages can refine their search based on the available tags. 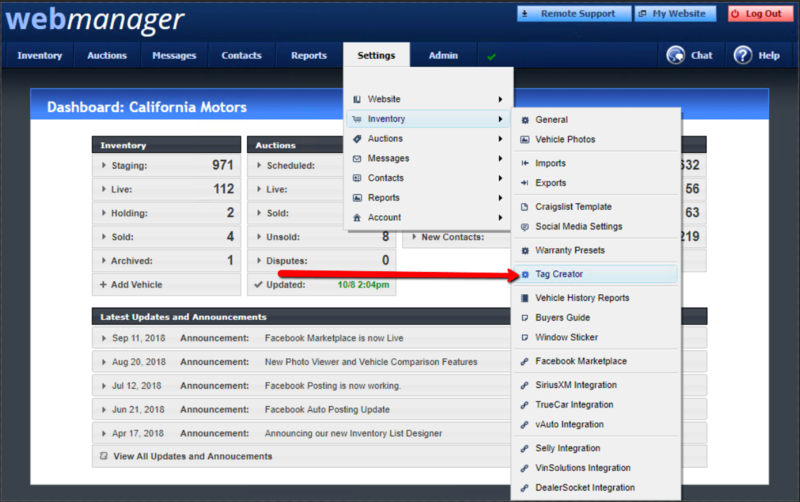 You can also take all your vehicles that have the same tags, and create a dedicated inventory page just for those tags. WebManager has several common predefined Tags, but you can also add your own custom Tags. Hover your mouse over Settings -> Inventory -> Tag Creator. To delete a tag, simply click the “X” in the top right corner of a tag. 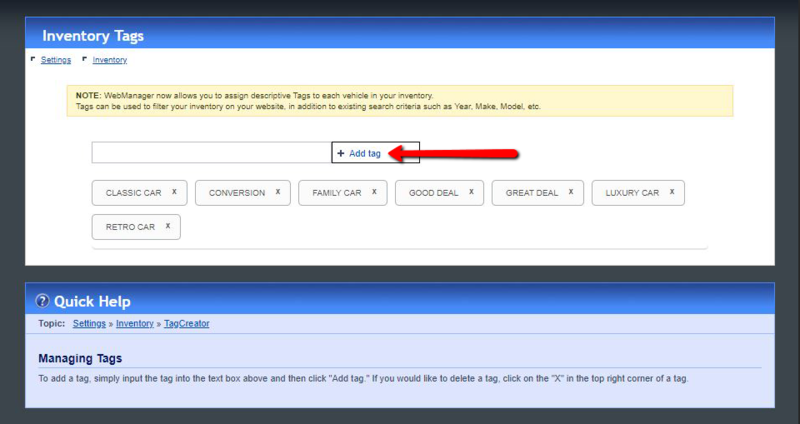 To Enable tags for a vehicle, hover your mouse over Inventory -> Live -> Tags. 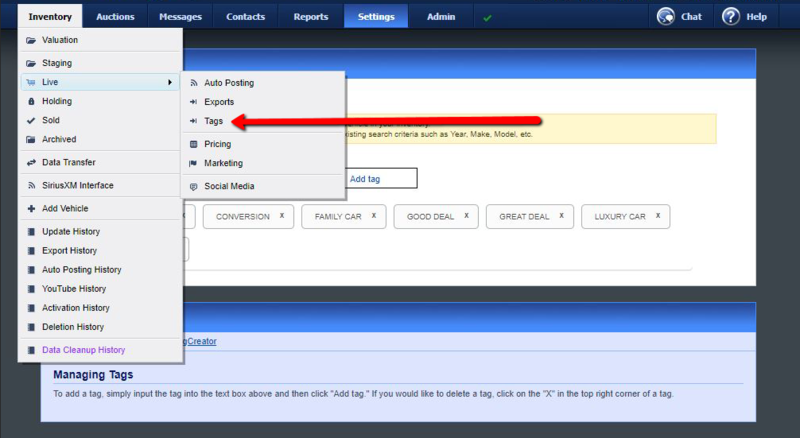 From here you can enable and disable tags for all of your vehicles by clicking the tag name. If the tag is Green, it is enabled, if it is Grey, it is disabled. Within an inventory list element, you may filter an inventory page based on these specified tags. 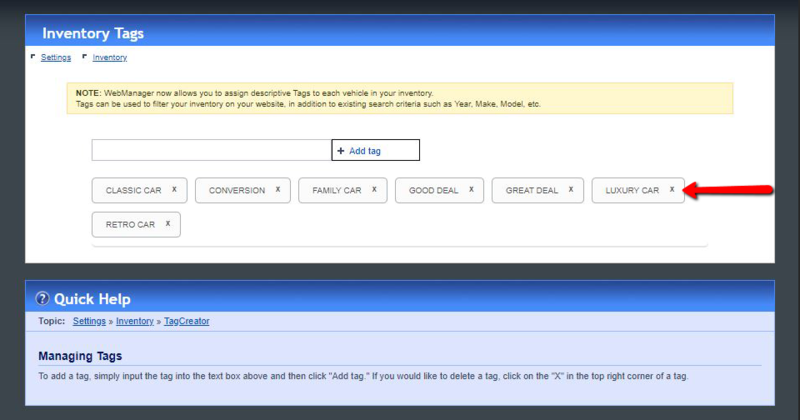 We have also added a Tag element on the Inventory List Design page so that you may include the added tags to show on the inventory list for the specified vehicles.